Learn the rules of serving along with the most common fouls and service faults committed in competition. Improve your volleyball with knowledge of these volleyball serve rules. According to the volleyball serve rules each rally begins with the serve. This makes the volleyball serve the first opportunity for a player to score a point. 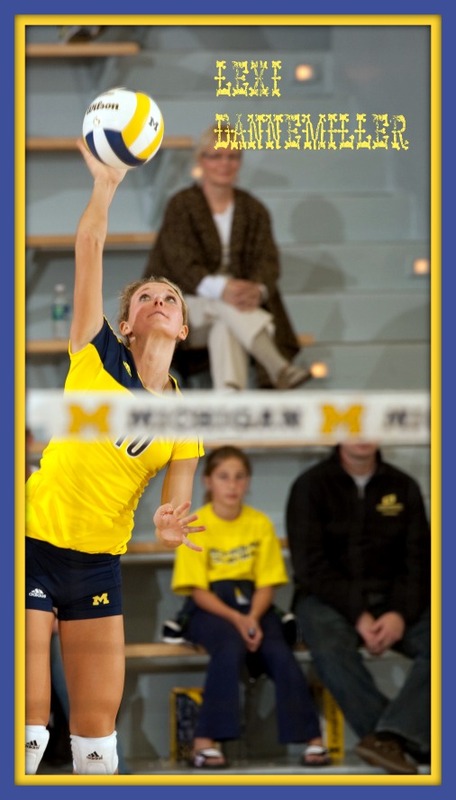 No matter your serving style, the toss is a fundamental part of the serve in volleyball. You can't serve a ball without tossing it up in some way, shape or form. With that being the case, the volleyball serve rules state that when you serve, only one toss is allowed once the referee has blown their whistle. Once a player tosses the ball up for their serve, if they catch the ball without completing their service action, that is a fault and the referee will blow their whistle and award the opposing team the ball. The serve doesn't always go as planned. Check out this compilation of funny volleyball serve moments during top women's matches. See you aren't the only one who serves the ball in the back of your teammates head. If you are a server and you realize you've given yourself a bad toss, according to volleyball serve rules you can let the tossed ball drop. Once the ball drops, you can catch the ball. After its been dropped, the referee will blow their whistle indicating that the complete service action will begin again and will give you, the server a second opportunity to serve within 5 seconds time . Not only does the server need to let the ball drop in order to reset their five seconds to serve again, but the ball needs to drop to the floor without touching any of the server's body parts on the way down. Many times a server will toss a ball up to serve it and then can't get out of the way fast enough before the tossed ball hits them on the way down. If this happens, then the referee will blow their whistle and award the ball to the opposing team. Can A Player Serve From Anywhere on the Court? The service action has to take place within the service zone of each team's court. 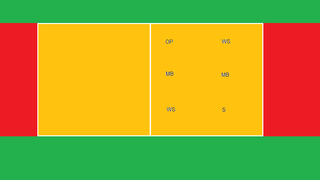 The service zone is parallel to the endlines and centerlines of the court and is located behind the end line on each team's court. The endline is also referred to as the "service line" when the team on defense is serving. The service line is the line a player cannot touch or step over while in the act of serving the ball over the net. If the player touches the line while serving this is considered a fault, and the referee will blow their whistle and then award the opposing team the ball if such an action occurs. The server can serve the ball from anywhere behind the service line within that 29 foot 6 inch area marked as the service zone. When Can A Player Serve The Ball? Once a player is ready to serve, they are standing in their team's service zone and they must wait for the referee to blow the whistle before beginning any service playing action. The server has 8 seconds from when the referee blows the whistle to complete their service action, whether they choose to use an under hand serve, overhand serve or jump serve and to get the ball over the net and into the opposing court to start the rally. They must start their pre-serve routine and contact the ball behind their service line within that red zone and cannot enter the court until after they've contacted the ball. What team gets to serve first? And how are they chosen? At a certain time before the start of a match, usually 10 - 15 minutes before the start, the head official called "the head referee" will whistle for the team captains from each team to meet at the net. They will shake hands and introduce themselves. The official is responsible for setting the ground rules for the match. This will include explaining to both captains the playing areas of the court, overhead obstructions and court surroundings. Once finished the referee will produce a coin and ask one of the team captains "who wants to choose?" and then will ask "what do they want "heads" or "tails"?. The team captain who wins the toss will choose either "side" or "serve". If they pick "serve" then they will be "awarded" the opportunity to serve first during the first set of the match. For the subsequent sets, teams will alternate who serves first. So if Team A won the coin toss and served first the first set, then Team B will automatically begin the second set with the serve. If four sets are played and both teams have won two each, then before the fifth tie breaking set, the head referee will call the two captains over again for a second coin toss to determine who will serve first at the beginning of the tie breaking match. If a server does not hear the whistle and serves the ball they will have to re-serve the ball. The service cannot start a rally without the referee first blowing their whistle to indicate the service can begin. "Top 13 Best Powerful Serves in Women's Volleyball"
Volleyball Serve Rules: Where Do You Go From Here? Where do you need to go now? You can learn more about the Rules of Volleyball by visiting the related links below.